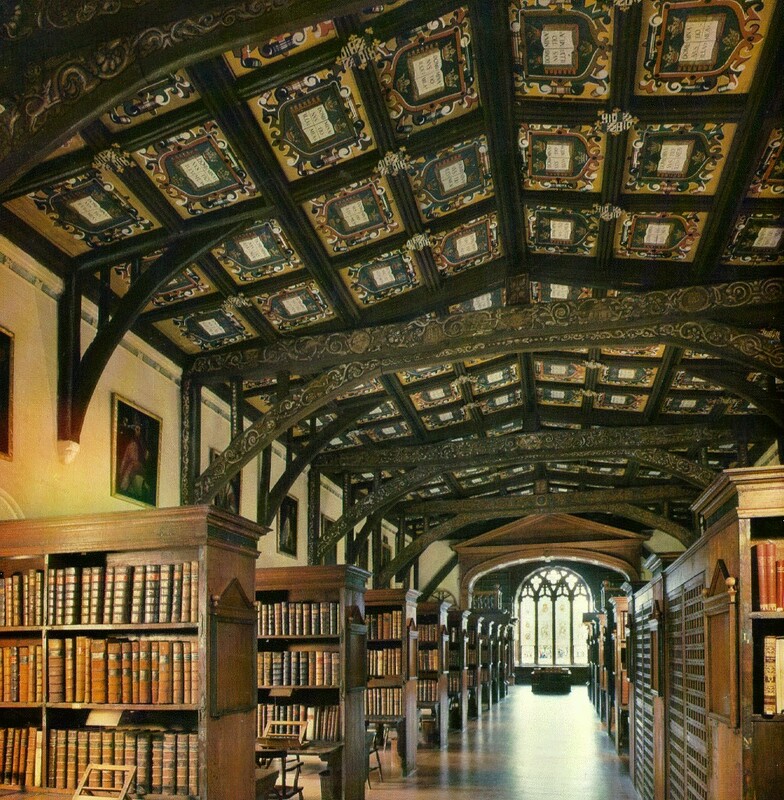 When I think of the quintessential library, I inevitably think of the Bodleian Library at Oxford University. During my first college spring break I ventured to London with two close friends. We had many eye-opening experiences in and around the city itself, but the last day of our trip we decided to take a bus to the countryside and explore Oxford. I remember the quaint cobbled lanes and alleyways that ran in to the countryside, the rolling hills, the pub known as the Eagle and the Child where C.S. Lewis and J.R.R. Tolkien used to meet up after teaching classes, to conduct their Inklings meetings, but most of all I recall the layer of magic that permeated the entire city. We wandered freely in and out of the gates of the schools, meandering in to sleepy courtyards and imagining all the different people that had passed through, and marked history over the last thousand years. It was truly bewitching. Part of the library might look familiar to you as it served as the location for the Hogwarts Library in the Harry Potter films. It also played an integral role in A Discovery of Witches, as Diana’s encounter with a mysterious manuscript in the Bodleian sets off a chain of events that lead her on the literary adventure of a lifetime. And while I personally haven’t run in to any demons, vampires, or witches off the page (that I’m aware of), my time in Oxford certainly left an imprint on me.